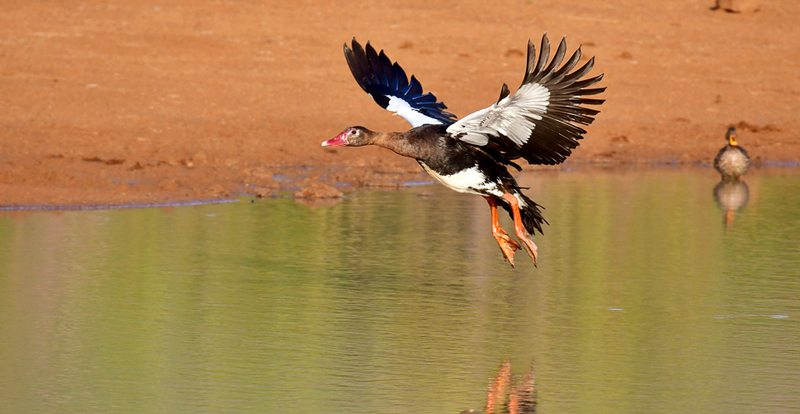 Pilanesberg tented safari camp opened in 2016 and lies within the Manyane Resort, which is situated on the south-east side of the Pilanesberg National Park. 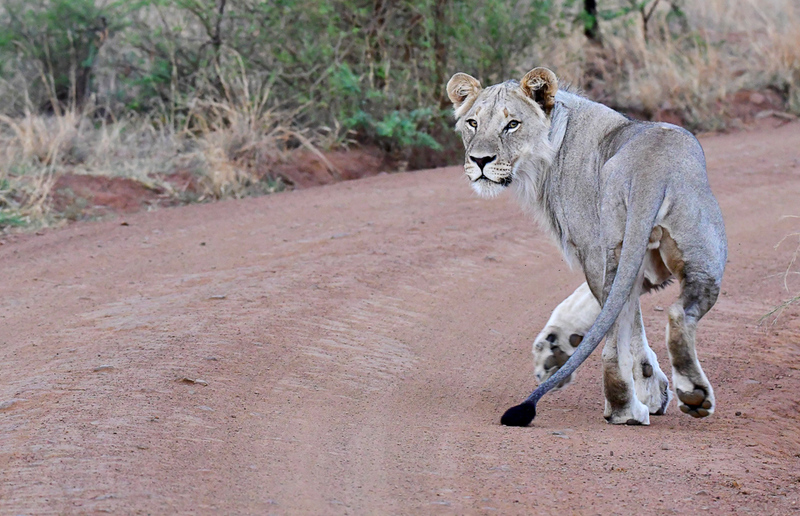 The camp is located about a 2 hour’s drive from Johannesburg. 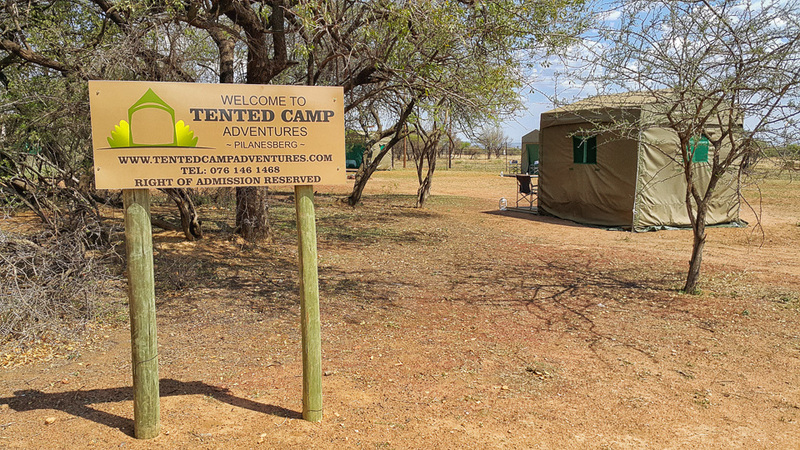 If you like the camping experience without the hassle of having to set up tents or worry about what food to take with….then Pilanesberg Tented Safari Camp is the place for you! 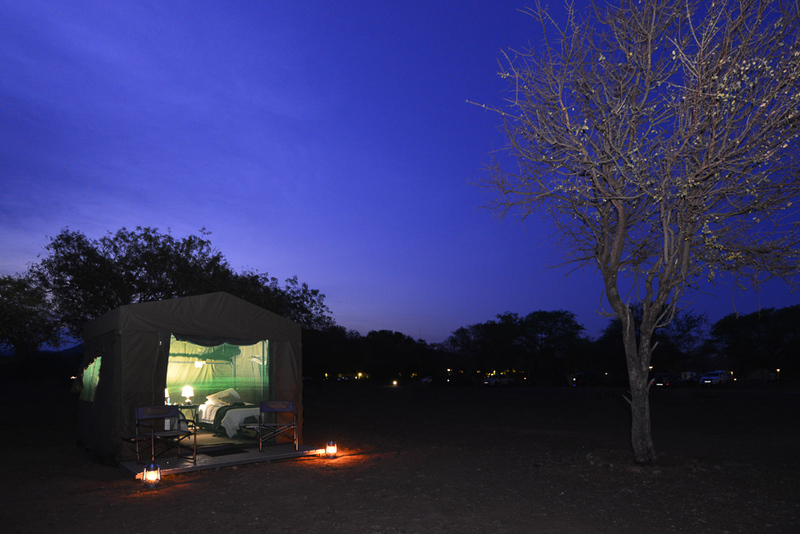 This is a lovely camp that offers an affordable safari experience within the fenced area of Manyane Resort. 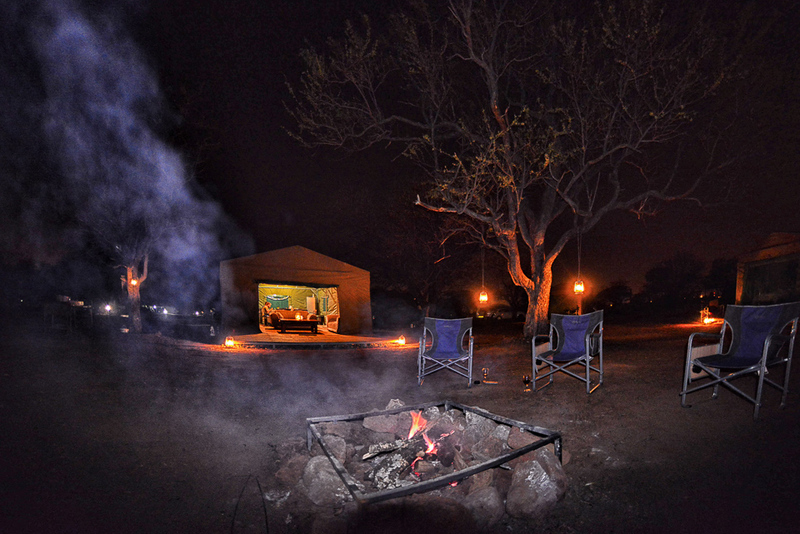 The lounge and dining areas are in a large tent with an inviting fire pit just outside where you can relax and share your stories of what was seen during the game drives. The swimming pool is in the main Manyane building and is a great place to cool off and relax during the day and there is a small shop next to the bar for items you may have forgotten to bring. 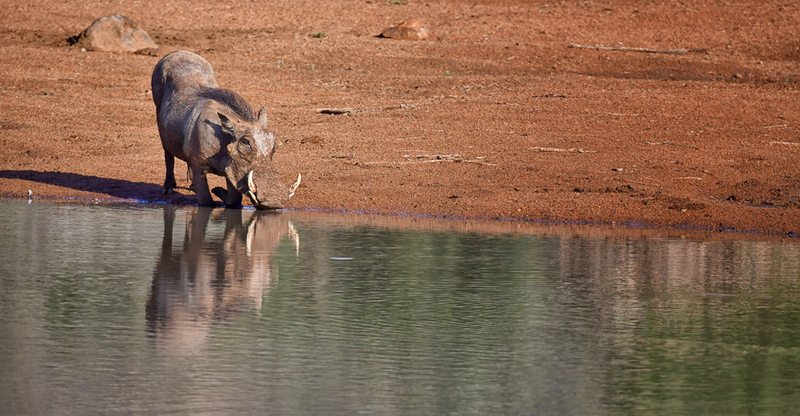 Regular visits from the resident Impalas, Warthogs and Banded Mongooses are common and will give you great subjects to photograph while relaxing in camp. 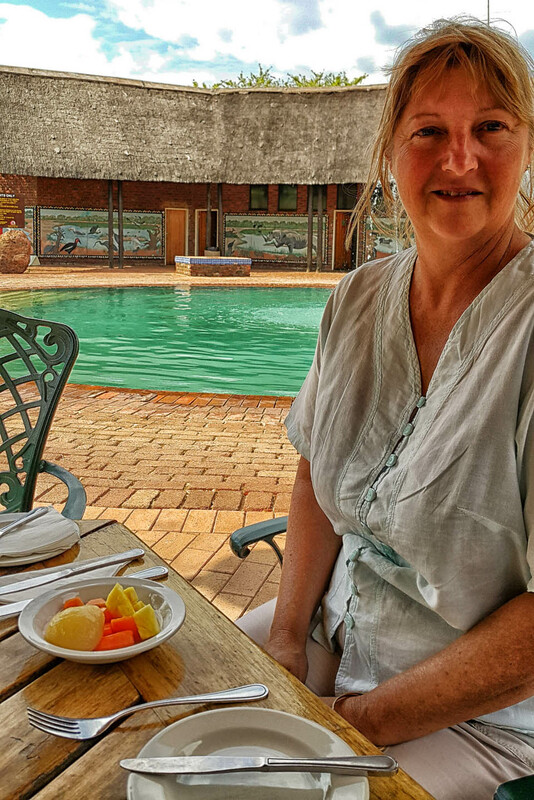 Pilanesberg Tented Safari Camp does not have a restaurant; you are given breakfast vouchers for the Manyane restaurant, where you can enjoy a full English and continental breakfast. They have a lovely spread of food. 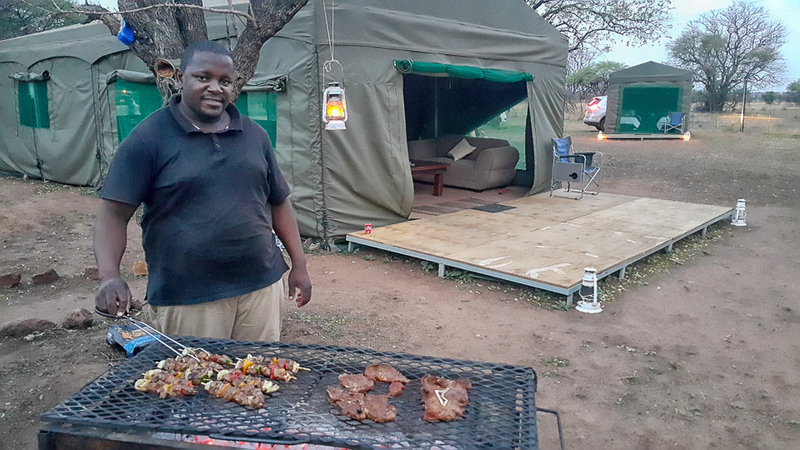 For dinner, Benny or Thabang will cook over an open fire/braai and then serve your meal in the camp’s dining area. 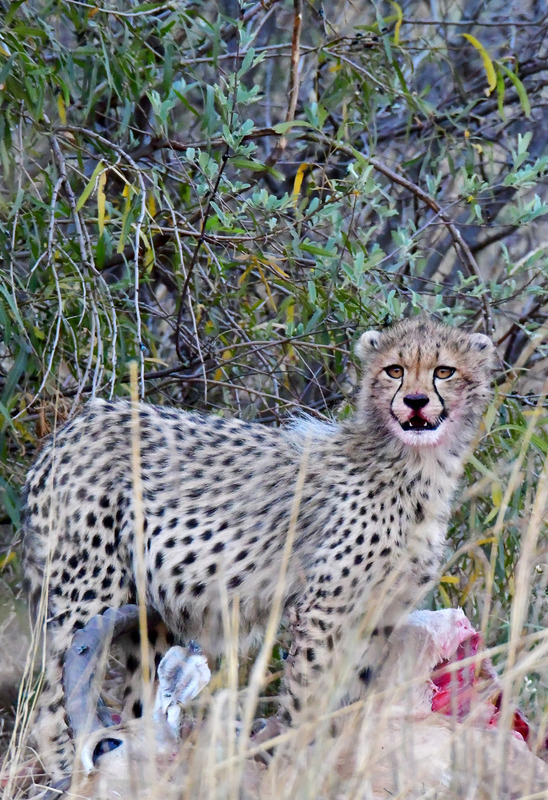 We enjoyed all three of our dinners, which we had after coming back from our game drives. Our meat was braaied to perfection each night - well done Benny! Manyane resort has a bar and restaurant; so if you want to buy drinks from the bar you can then take them to the camp, where there is a fridge/freezer. Water is provided and kept cold in the fridge from which you can help yourselves during the day. We took our own wine with us and kept it in the fridge. 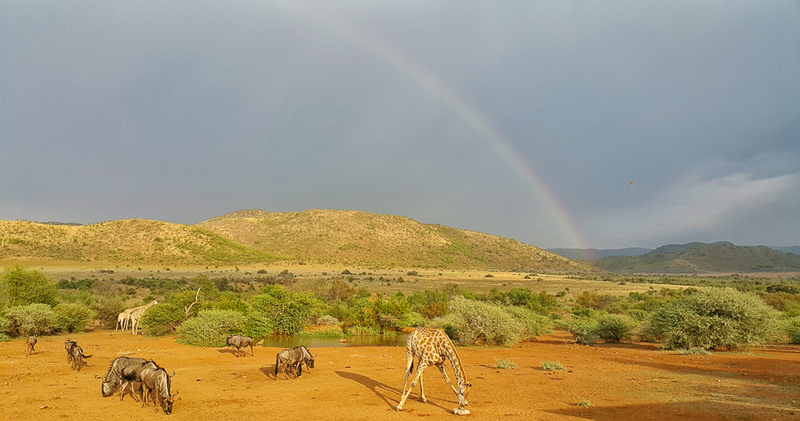 Pilanesberg Tented Safari Camp has 8 safari tents that offer a true safari feel. 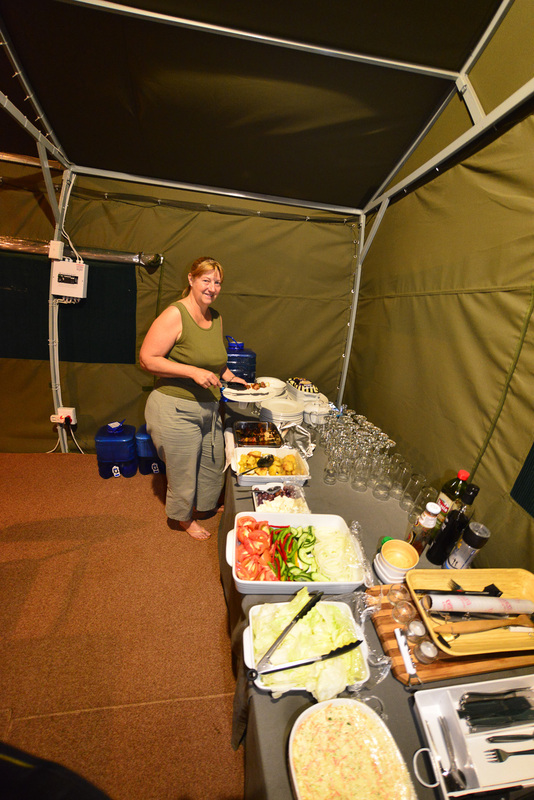 All the tents are equipped with two comfortable single beds, linen, electricity, camp chairs, carpeted flooring, large windows with mosquito nets, a fan to cool you down in summer and electric blankets to warm the cold winter evenings. A small deck looks out over the camp fire. 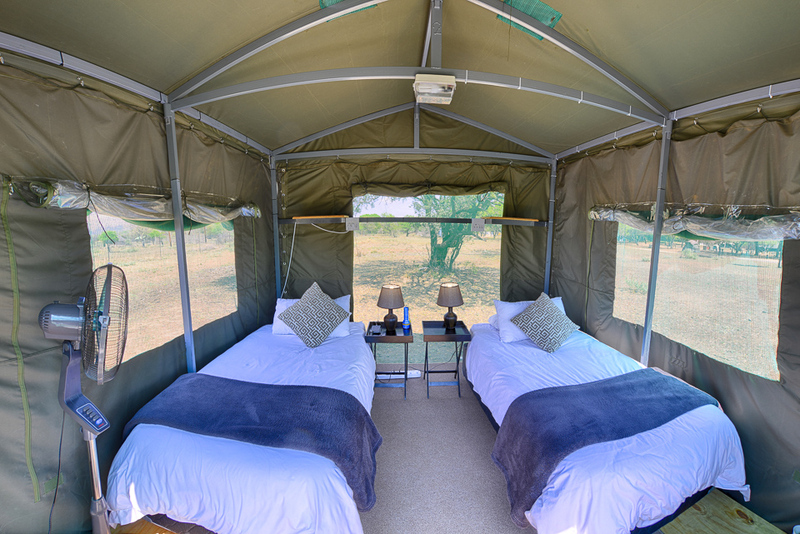 The tents are not en suite so you share the communal bathrooms with the campers but both the safari tents and bathrooms are serviced daily. 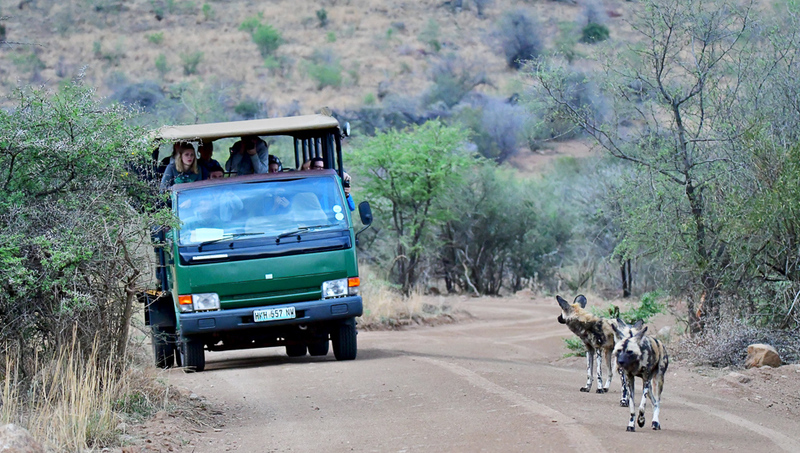 Two guided games drives are on offer daily, one morning and an afternoon drive in an open safari vehicle. 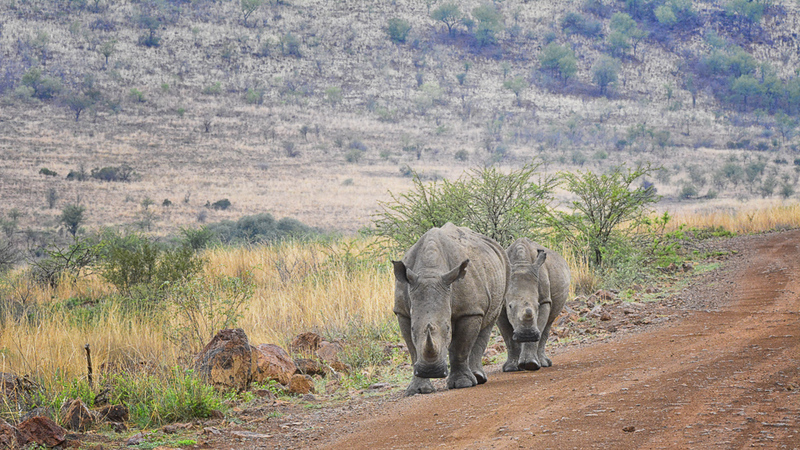 You also have the choice of doing a self-drive into the Pilanesberg, which is what we prefer doing, or mix it up with a game drive one day, and self-drive the next. 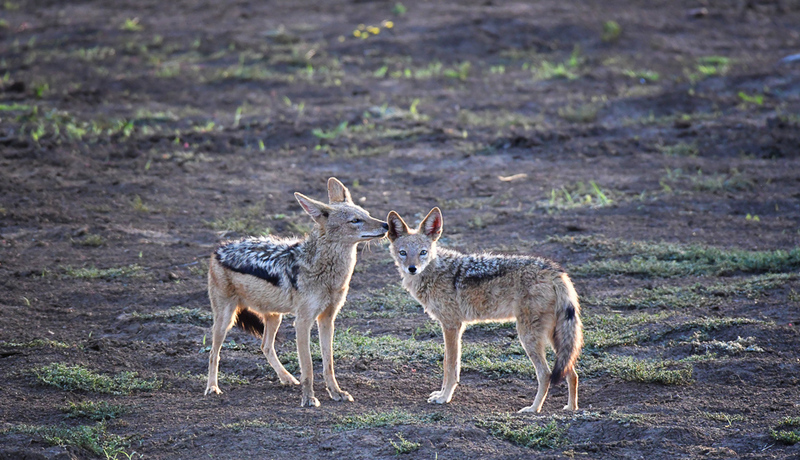 We had some fantastic self-drives during our stay, and the other guests (from the USA, Botswana, Belgium, Switzerland, Holland and Germany) who went on guided game drives also got to see lots of game, so we had many stories to share each night! 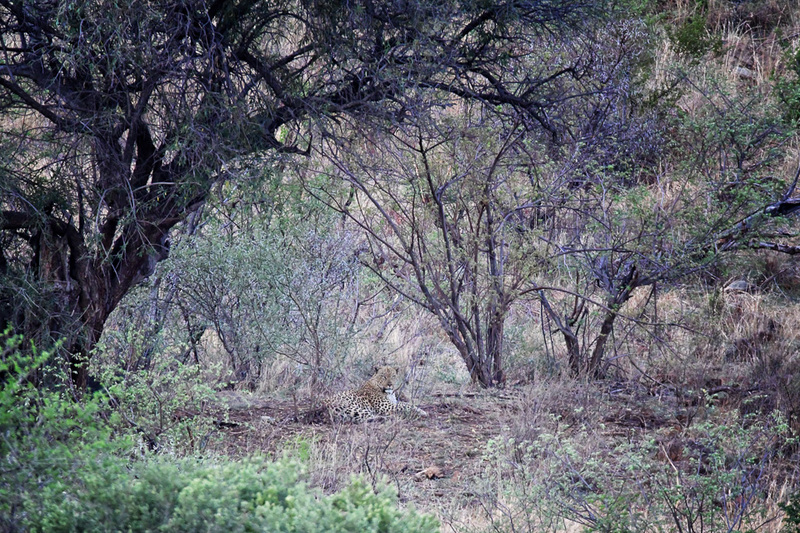 Leopard - very far away! 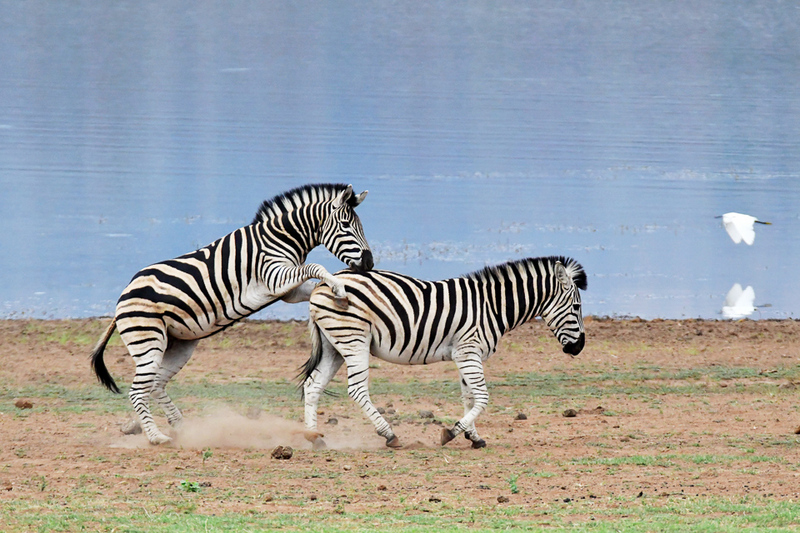 "This eBook is packed with knowledge that can be applied to other parks, safaris and wildlife excursions via the photography lessons and additional advice for photographers"
"Your time and money are valuable and the information in this book will help you save both." 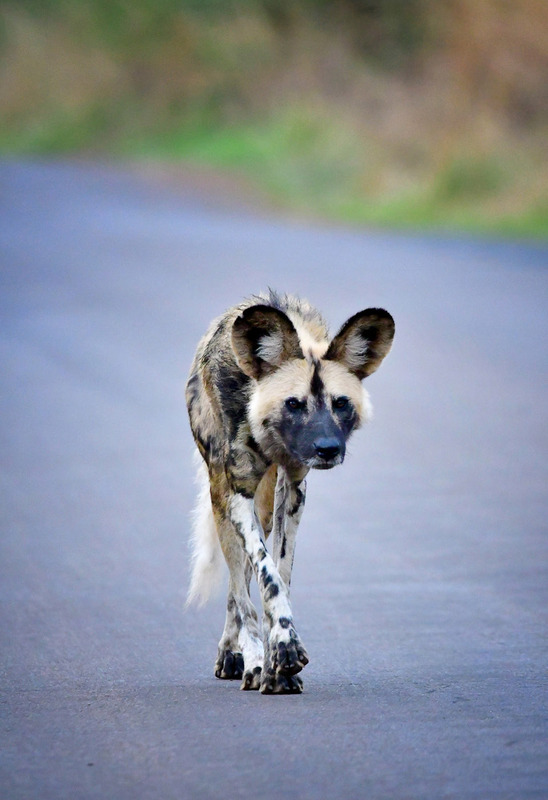 "This work is so much more than an eBook, because it is also a guide, a tutorial, an inspiration and a must-have for anyone interested in wildlife photography"
The only Big-five animal we did not see on this trip was the ghosts of the Pilanesberg - the Buffalo, but the wild dogs and cheetah made up for this! 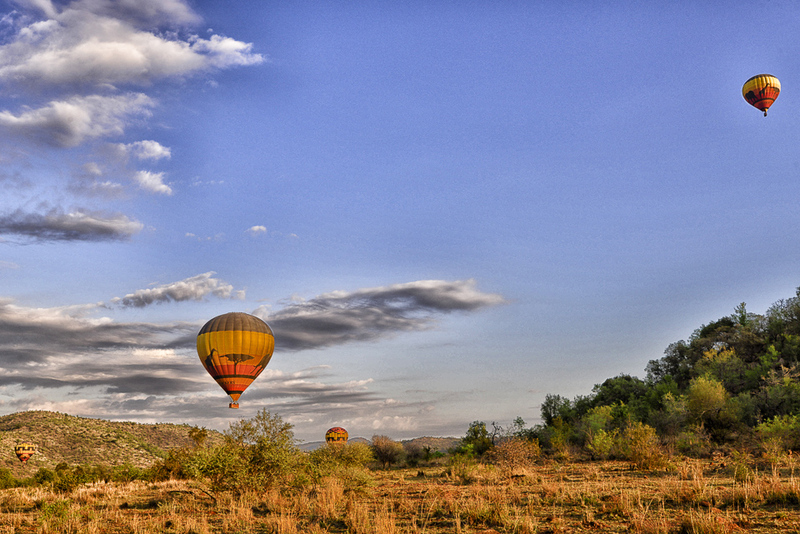 There are other activities like a hot air balloon rides, guided walks and visits to the local cultural museum, spa treatments or a trip to Sun City where you can play golf, visit the Valley of the Waves and do other adventure activities. 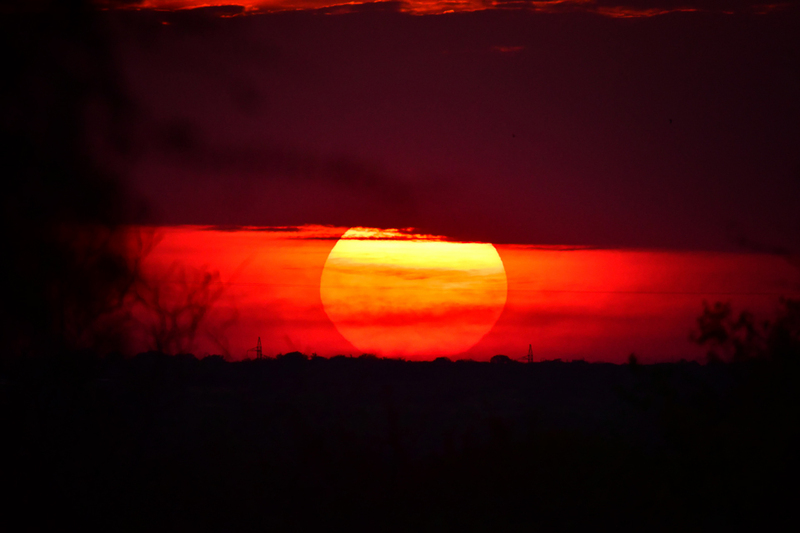 This glamping safari experience is very different, but once you have tried it, you will be booking your next one very soon!